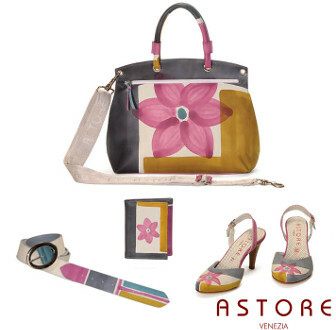 Astore italian brand designs high quality leather handbags and comfortable shoes. Qualified craftsmen make high fashion items enhancing woman beauty. 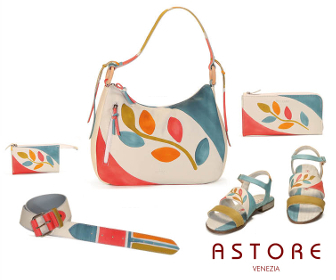 Our bags are hand painted with watercolors especially created for leather accessories. You can give a touch of color to your summer choosing among leather handbags, tote bags, crossbody bags, leather backpacks, purses of our collection. 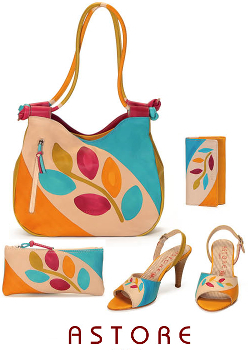 Combine your glamour handbag with matching leather shoes, flip-flops, high-heel shoes, leather sandals or mules. Complete them all with belts and wallets. 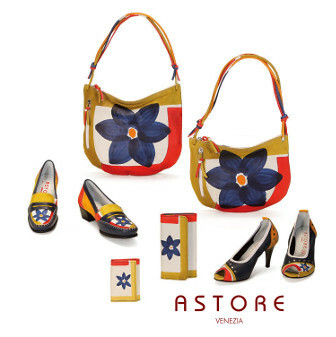 Astore is not only watercolor! Create your own beautiful handbag selecting the shell model you like and give it a touch of color choosing one or more nested bags. Contact us for more information about our collections.